Senso-ji is Tokyo’s oldest temple and most popular for tourists. Also known as Asakusa Kannon temple it’s located in Asakusa and dedicated to the deity Kannon (just like the name says!). 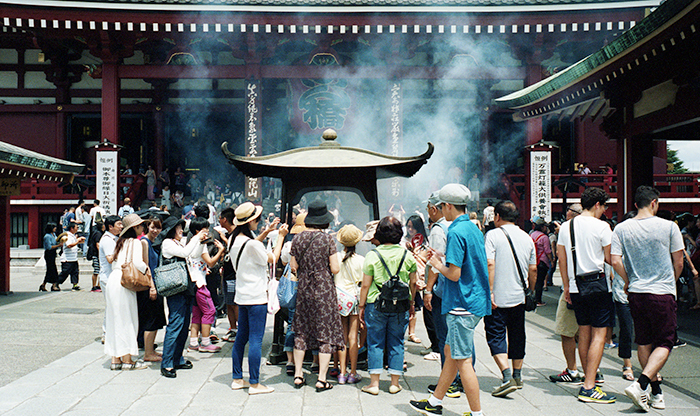 The incense burner (jokoro) is a main focal point and is always surrounded by crowds wafting the smoke for the purported health benefits.